Greeting from a slightly rainy, double rainbow day on the Outer Banks!! The boxes started arriving the first of November for the Ellyn Cooper Trunk Show. 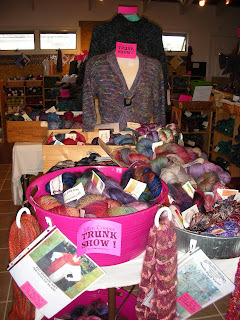 We have everything unpacked and skeins are flying out the door. The yarns are just to die for! There are tons of new colors, tons of new fibers and lots of great samples. Some of the new colors include "Tomato Queen" and "Cool Rooster" both have been very popular. 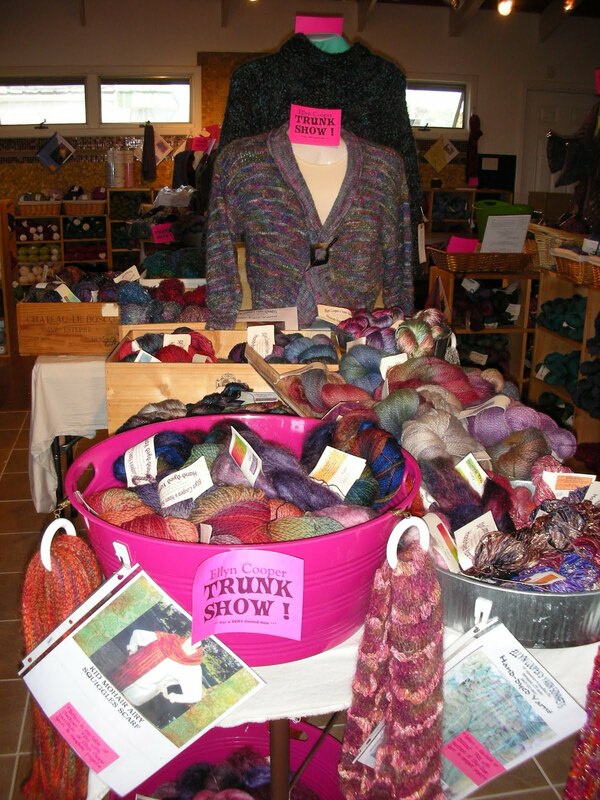 If you are a fan of Ellyn's sock yarn we have Tinkerbell in several colors, Zohar's Socks (the one with the bit of bamboo... yummmmmy.....) in about 10 colors and even some Fine Merino. 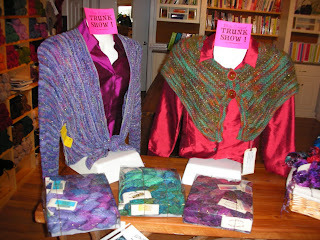 Ellyn sent a bunch of lace weight yarns for the lace knitters and some of her superfine kid mohair. If you have a chance to get here I think you will be hooked on some of the neat new stuff. 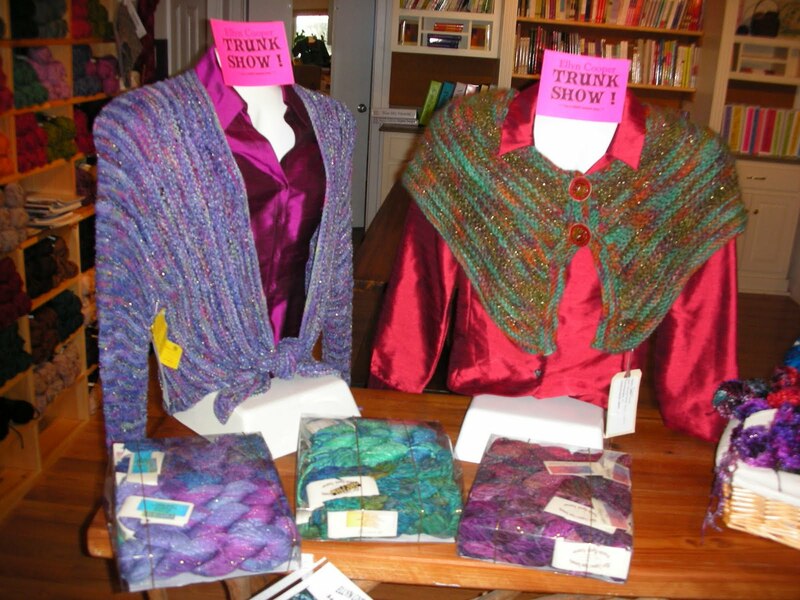 There are sweater quantities of lots of colors and fibers we don't usually carry. If you can't get in and think you might need an Ellyn Fix give us a call at the shop and we will do our best to increase your collection long distance. We will be open Thanksgiving week: Monday, Tuesday, Wednesday regular hours 10-6. Closed on Turkey Day and then open Friday and Saturday 10-6 both days. The time is nearing for us to say good-bye and good luck to a favorite friend and my right hand-man for the past 5 years. 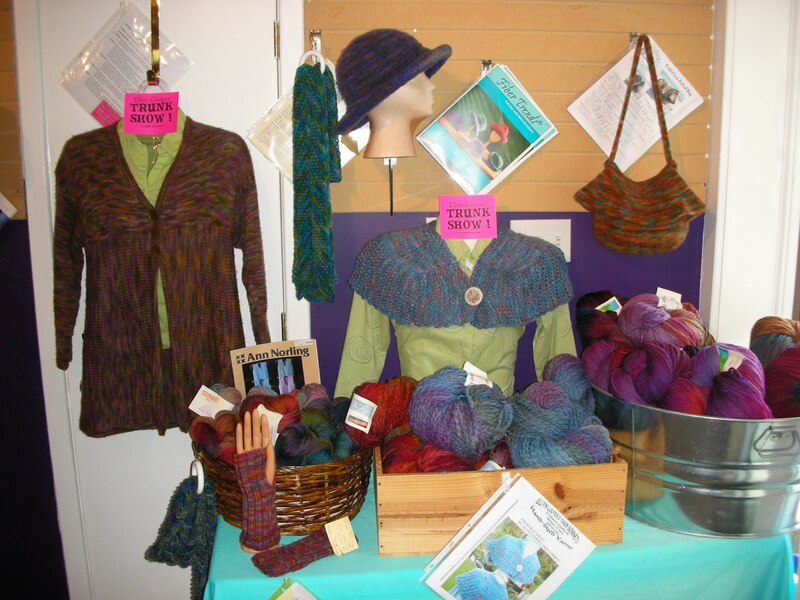 Britt will be here at Knitting Addiction through Saturday, November 27. We are hosting a "Good Luck- Happy Birthday- We'll Miss You Party" here at the shop on Sunday, November 21 (Britt's actual birthday) from 2-4. If you can join us we'd love to have you. Snacks and beverages will be provided. Come give Britt a big hug and wish her well in the next phase of her life.